At 4:30 on a Monday afternoon, Nitin K, the Corporate Banking Officer in my ICICI Bank branch was not at his desk. I was used to dealing with a highly efficient and courteous young man. So, I asked the person sitting next to him if he knew when Nitin would back. Got a hard, cold and bored look and was told in a sand-paper rough arrogant voice that he had gone for lunch and would be back in 15 to 30 minutes. His response, if it can be called that, was why the heck are you asking me? Am I the Front Office Executive? Perhaps he was stressed out. I don’t know; however, he was indeed the grumpiest character if I met one! Caught up with some news, WhatsApp and such like stuff. You know all the things we all do when we are bored. Much has been researched and talked about the subject and my submission is that there could be three fundamental reasons for missing passion…I call it the PASSION DEFICIT. Firstly, it could be a function of a perception of a lack of high standards of honesty in the organization. Secondly, it could be due to a lack of meaningfulness to the work employees are doing. Thirdly, it could be a perceived case of a lack of trust and respect between management and employees. Engaged Employees are switched on: conscientious about their work, do everything that is expected of them and comply with policies and procedures to the letter. Passionate Employees are people who don’t just stick to the rulebook – they do whatever it takes to delight customers. These emotionally committed employees are passionate about their work, and the organization they work for. Organizations need to be a lot more careful when they hire people. Apart from the usual technical evaluation and the so-called culture fit, they need to focus the PASSION QUOTIENT too. 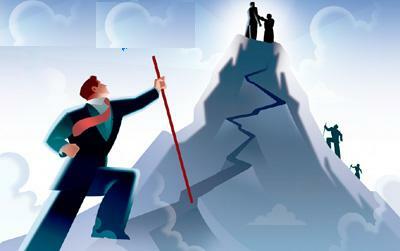 Once inside, employees need to be nurtured to ensure that their initial experience is great and their motivation levels go beyond the honeymoon period. Creating an environment that fosters passion for the organization is paramount. A formal process that aligns individual aspirations with that of the organization has to be put in place as also a mechanism that builds a sense of pride in “Working for the BRAND” would go a long way in retaining that elusive word “PASSION”. Selectigence can help you put in place processes and mechanisms that will not only help in building your Employer Brand but also help in putting together a PASSION STRATEGY and a way to measure the “Passion Quotient”.